McDonald’s and supplier Tyson Foods are promising to stop working with a Tennessee chicken farm after an animal rights group released images from hidden cameras showing alleged mistreatment of the birds. An investigator for Mercy for Animals went undercover at the farm for about four weeks in July and in August, taking video on a small camera, reports the Chicago Tribune. 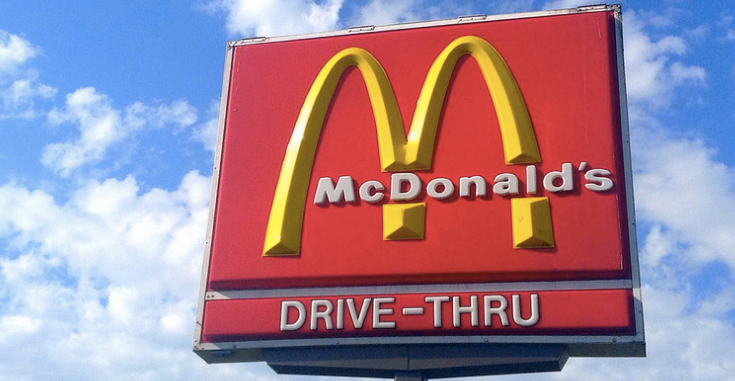 The farm raises chickens for the Tyson Foods slaughterhouse plant elsewhere in Tennessee, and Tyson then sells the meat to McDonald’s for McNuggets, Mercy for Animals says. The group released photos yesterday that show chickens being beaten and stabbed with a pole that has a spike on it, and video reportedly shows sick and deformed chickens mixed in with the others in a huge, crowded holding area. Though the group said McDonald’s hadn’t made a commitment to change its practices when it contacted the company about the footage, today the chain released a statement about how it expects its suppliers to act, noting that Tyson had cut ties with the farm. “We believe treating animals with care and respect is an integral part of a responsible supply chain and find the behavior depicted in this video to be completely unacceptable. We support Tyson Foods’ decision to terminate their contract with this farmer,” McDonald’s statement read. “We’re working with Tyson Foods to further investigate this situation and reinforce our expectations around animal health and welfare at the farm level. Tyson also issued a statement, confirming its split with the farm. “Based on what we currently know, we are terminating the farmer’s contract to grow chickens for us. There are currently no chickens on the farm,” a spokesman wrote.